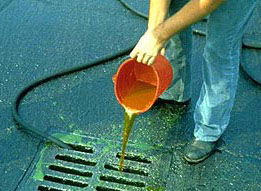 Stormwater can pick up debris, chemicals, dirt. and other pollutants and flow into a storm sewer system or directly to a lake. stream. river, wetland, or coastal water. Anything that enters a storm sewer system is discharged untreated into the waterbodies we use for swimming. fishing, and providing drinking water. 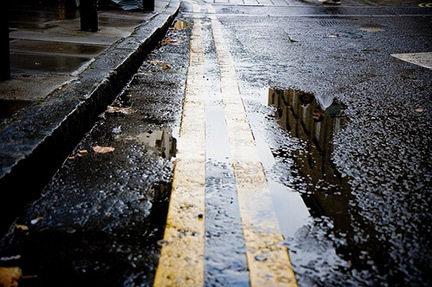 Polluted stormwater runoff can have many adverse effects on plants. fish. animals, and people. Excess nutrients can cause algae blooms. When algae die. they sink to the bottom and decompose in a process that removes oxygen from the water. Fish and other aquatic organisms can't exist in water with low dissolved oxygen levels. Bacteria and other pathogens can wash into swimming areas and create health hazards. often making beach closures necessary. Debris-plastic bags. six-pack rings, bottles, and cigarette butts-washed into waterbodies can choke. suffocate. or disable aquatic life like ducks. fish. turtles, and birds. Household hazardous wastes like insecticides. pesticides, paint. solvents, used motor oil. and other auto fluids can poison aquatic life. Land animals and people can become sick or die from eating diseased fish and shellfish or ingesting polluted water. 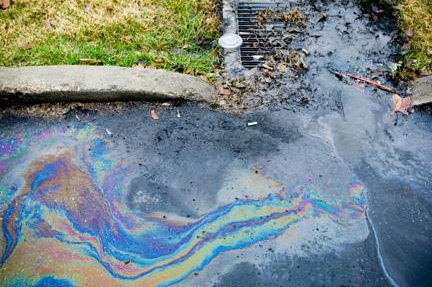 Polluted stormwater often affects drinking water sources. This. in turn. can affect human health and increase drinking water treatment costs. © South Montgomery County Storm Water Coalition. All Rights Reserved.